Maasbandijk 10, 6606 Wijchen, Netherlands. 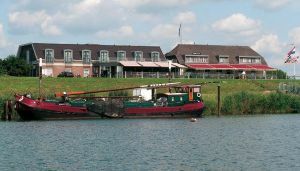 In front of river the Maas in Niftrik you find Hotel Restaurant Hoogeerd. The 29 comfortable furnished rooms have shower, toilet, telephone and television. A few rooms have river view, a balcony or jacuzzi. The restaurant has a view over the river and serves breakfast, lunch and dinner. For a drink you can use the hotel bar. Hoogeerd also offers 5 multifunctional conference and party rooms with airconditioning and various audio visual equipment. Harbour, Near highway, River, Countryside, Panoramic view, Near shopping centre. 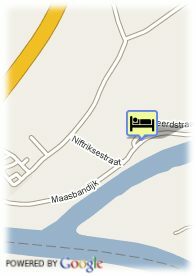 For older children and adults 36.00 € for each additional bed is charged.